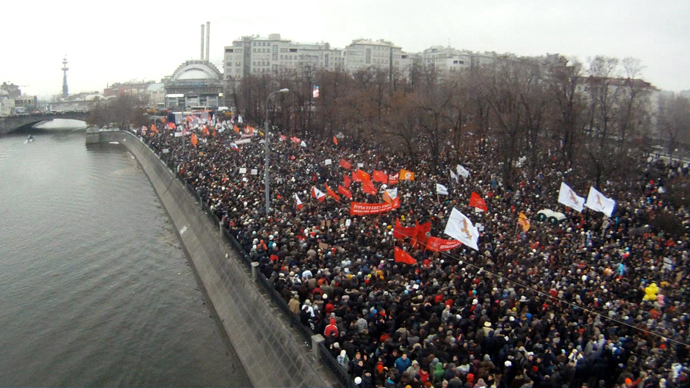 Russian human rights activists and opposition politicians have reacted sharply to a Moscow legislators’ suggestion to ban all rallies and public protests in the city center. 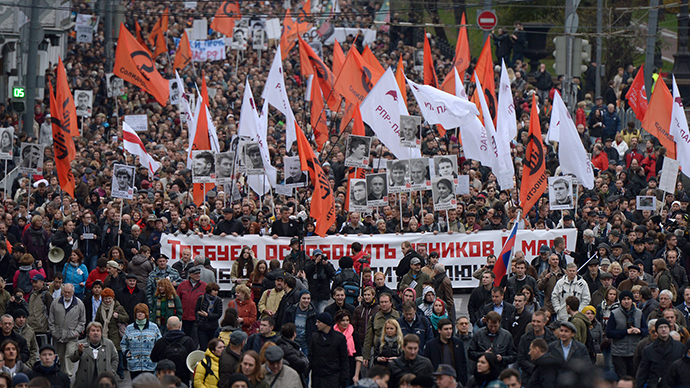 At the Wednesday session of the Moscow City Duma lawmaker Mikhail Moskvin-Tarkhanov proposed a ban on all rallies within the Boulevard Ring – a nine kilometer long road encircling the Kremlin and adjacent districts. Moskvin-Tarkhanov’s suggestion came after city Duma speaker Vladimir Platonov said that legislators must not be allowed to meet with their electorate in a chosen place including the historical sites in the city center. 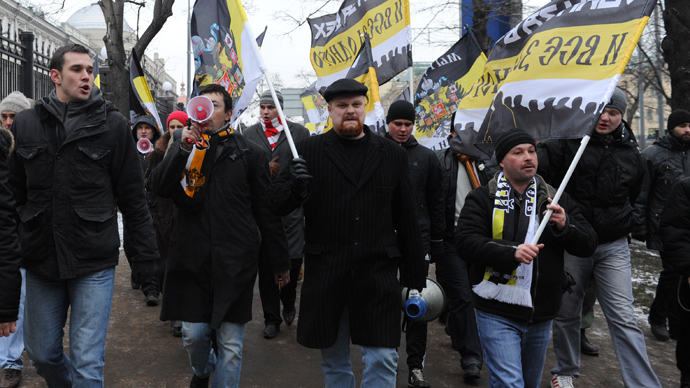 Since last year Russian opposition politicians have started to call street protests "meetings with voters" after failing to obtain proper approval for a rally from the city hall. 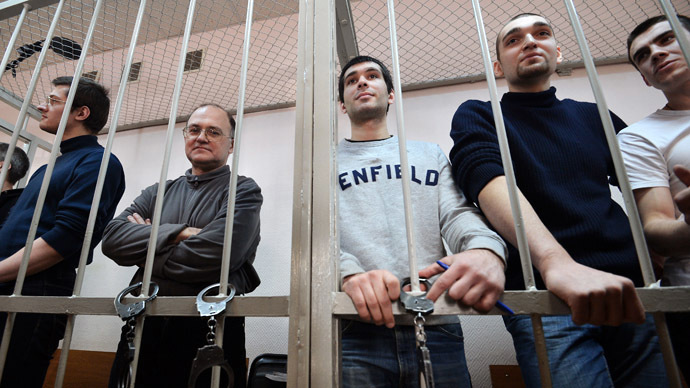 MP Dmitry Gudkov, who was one of the first to try this, called Platonov’s suggestion “inadmissible.” “It is a parliamentarian’s right – to conduct meetings with voters in any convenient place,” Gudkov told the Vedomosti daily. Russia’s veteran rights campaigner, the head of the Moscow Helsinki Group Lyudmila Alekseyeva attacked the idea in comments to the Interfax news agency. “If such initiatives are passed as acts this would confirm that we are in a police state. Such suggestions are unconstitutional,” Alekseyeva said. The head of the unregistered political group The Other Russia, writer Eduard Limonov, also called the suggestion unconstitutional. Limonov added that such steps would only force people to gather for unsanctioned rallies instead of those agreed with the authorities. 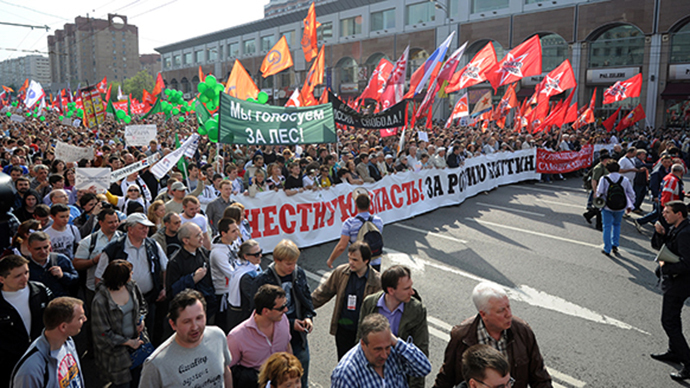 The political debate took place soon after police briefly detained hundreds of people in central Moscow for unsanctioned protests against the sentences of the Bolotnaya Square rioters – a group of people found guilty of attacking police officers at a peaceful and sanctioned protest march in May 2012.The sentences were handed down on Monday and law enforcers detained about 400 protesters on the day – both near the court building and on Manezhnaya Square near the Kremlin. Most of those detained were released with a warning, but some were given fines by local magistrates and in several cases up to a week in jail for refusing to comply with law enforcers’ lawful demands.